Review: What’s the best selling Insignia Shower Cabin? One question our customers are constantly asking us is, “which model of Insignia shower cabins is the best or most popular?” So to avoid confusion (and also prevent our employees from having to answer the same question over and over on a daily basis), we’ve produced this handy little guide to help you decide which model is right for you. Insignia offers a wide choice of shower cabins, and has recently started introducing a variety of alternate colour options on a few of their more popular models. One of the reasons for Insignia’s popularity and position as one of the leading manufacturers in this field, is that all Insignia shower cabins, including steam showers, come with an unparalleled 5 year parts warranty. 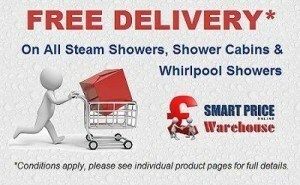 This makes purchasing one of their products much more appealing than going with one of their competitors, as you’ll get a guarantee that the shower you buy will last or you’ll at least receive free replacement parts if for some reason, it doesn’t. So now that we’ve got that out of the way, we can move on to what you really want to know—that is, which Insignia shower cabins are the best. 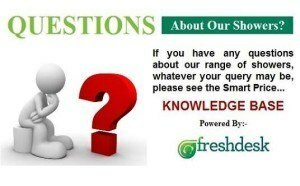 Below you’ll find information about three of the best selling Insignia shower cabins, in no particular order. 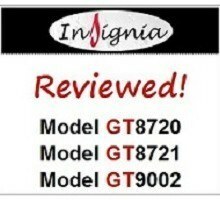 To start off with, we’ll take a look at the Insignia GT8720. This model is far and away one of the highest selling, in addition to being one our favourites here at Smart Price Warehouse. Part of the reason for its immense popularity lies in the fact that the 900mm x 900mm size is the most commonly used, as it should fit in the majority of all bathrooms, while still providing plenty of space for you to enjoy a comfortable, relaxing shower. One of the key additions to this model when compared to its lower priced cousin the GT8721 is that the water temperature is thermostatically controlled, instead of just having your standard mixer type controls. We’re aware that most people have no idea what this actually means, so here’s a quick explanation. The thermostatic control means that you can actually choose the exact temperature that you want your shower cabin to be, unlike the standard mixer control where it’s much more of a guessing game. The addition of the thermostatic control allows for much more freedom to precisely control the water temperature. If you’re like most people, you probably shower at somewhere around 38 degrees. Still, you might be one of those who prefers the feeling of an arctic shower, dropping it all the way down to 20 degrees, or someone who likes it hot and steamy and routinely cranks the temperature up to 45 (Note: much hotter and you’ll likely need a protective suit to avoid getting scalded). While this isn’t to say that the mixer control isn’t still useful, it just means that the advanced technology of the thermostatic control can allow you to be much more accurate and will enable you to immediately get the water to the exact temperature you prefer—even if you happen to be one of those unusual people who prefer your shot ice cold or boiling hot. With the GT8720, you also have the added benefit of a removable wooden floor and stool. Shower trays with the wood floor insert are quite the trend at the moment and there’s no doubting that they add a touch of class and style to any shower. However, it also means that you’ll have one extra part to keep clean, which makes this model great as it’s up to you whether you want to use it or not. The fact that the stool is also removable allows you to free up some valuable showering space whenever you’re not planning on using it. This is a great feature on the Insignia shower cabin range, as for most people, the only time the stool is needed is when they want to relax and enjoy the therapeutic, massaging effects of the back hydro jets. Speaking of which, this model comes with 6 of these relaxing jets that are sure to send you into seventh heaven! Next up is the GT8721, which we briefly touched on above. It is another one of the best selling Insignia shower cabins on the market, and like the GT8720, it’s also a 900mm x 900mm corner quad. However, unlike its closely related counterpart, the reason this model is so popular is first and foremost down to its price. Costing less than £700 and still coming with Insignia’s industry leading 5 year parts warranty, you’d be hard pressed to find another brand of shower cabin that can offer so many excellent features for such a great price. Another thing that sets this model apart is its black aluminum frame, which can look really striking when installed in a white tiled bathroom. Personally, we think that the black colour is a nice change from the standard, silver powder-coated finishes you usually see on shower cabins. Still, you ought to have a look at this to see if you agree. Many of the other excellent features of the GT8720 are also included in this model, including the built-in radio, hydro jets, overhead tropical monsoon head and multi-function hand shower. This means that it’s definitely not lacking in features, but as you’d expect considering its lower price, Insignia had to do away with at least a few things. For starters, the control pad on this model is much simpler than the touch screen control on some of the newer models, but in fairness it does almost the exact same job. What we’re talking about here is more of the difference between an old Nokia phone and a newer smartphone like the iPhone5. One may look much sleeker and more stylish than the other, but when it comes down to functionality as a phone (or controlling the shower in this case), they both still work. While the control pad on this model doesn’t allow you to connect an mp3 player, it will still turn on the lights, radio, etc., while also being incredibly reliable and more than capable of getting the job done. As we mentioned previously, another difference between these two models that the GT8721 comes with your standard mixer control instead of the thermostatic type. To sum it all up, if you’re on a tighter budget and don’t care too much about the fancy touch screen and other high-tech gadgets, then deciding between these two outstanding models should be a no-brainer. Finally we come to our personal favourite, the GT9002. This impressive shower cabin measures up at 1200mm x 800mm, so it will give you a bit more extra space inside. In our opinion, this definitely makes a difference if you’re a larger or taller person, as you’ll no longer be banging your elbows against the walls when shampooing your luscious locks (or whatever else you may do in the shower). Better still, this shower can fit into any corner, as you can choose between either a left or a right hand door. 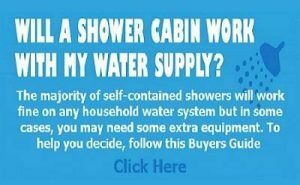 Considering that it’s price point is quite similar to the GT8721 (still under £700), we’d definitely recommend going for the larger GT9002 over most other shower cabins if you’re on a budget, but have space for a larger unit. This model is not only packed full of excellent features, but it is also now available in both black and white, along with the standard mirrored finish. This means that you’ll no longer have any excuses about your shower not matching your tiles, or those expensive Egyptian cotton towels you’ve already bought from John Lewis for that matter. We’ve been racking our brains to come up with any negatives about this model, but to tell you the truth, we really can’t find any. The only slight downside to this model is that the shower head is on a fixed cradle. So, while you can swivel it around from left to right, it doesn’t have the flexibility of other models with a riser rail, meaning you can’t adjust it up and down for height. We suppose this could be a minor annoyance (or a major problem, depending on your point of view) for children or the number of women who happen to be less than 5 foot 2 (or even short men for that matter). Other than that, this model truly has almost every feature you could possibly want, including thermostatic temperature control, comes with the latest MK117 touch screen controls, 6 body jets, 12 therapeutic hydro jets, a fold down seat, built-in speakers and so much more. Although all of the models we discussed are great choices, considering that the GT9002 comes with so many outstanding features at such a great price, it definitely gets our seal of approval and is our choice for the best Insignia shower cabin available.